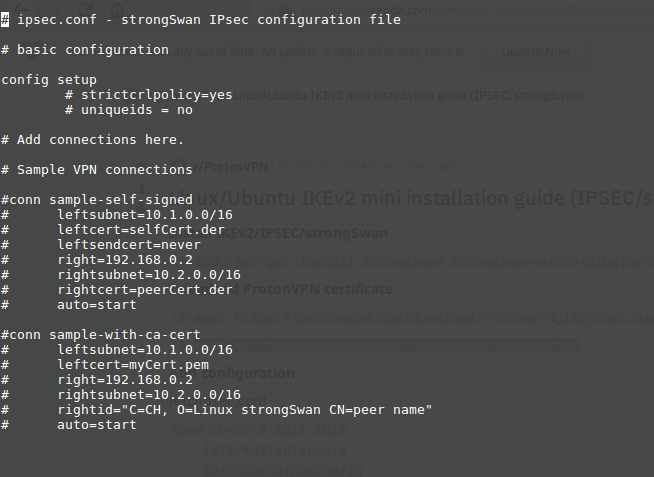 We are introducing a new way to connect to ProtonVPN using IKEv2 on Linux machines. We want to thank “Sh4dowb,” a member of the Proton community, who was a great help in creating this guide. Use this tutorial if you prefer the connecting to our servers via the IKEv2 protocol or if you are facing network issues with you Linux client tool. This setup guide explains how to configure an IKEv2 connection on Mint 18.3 Sylvia. Note: depending on your Linux distribution, you might not need all the packages. If the Terminal prompts ‘Unable to locate package’, simply continue without the package. Download the ProtonVPN certificate and place it in the appropriate directory. Instead of test, enter a name for your connection that you will use later. Instead of tester, enter your IKEv2/OpenVPN username. Then, press Ctrl+X to save, Y to confirm and then hit Enter. 4. 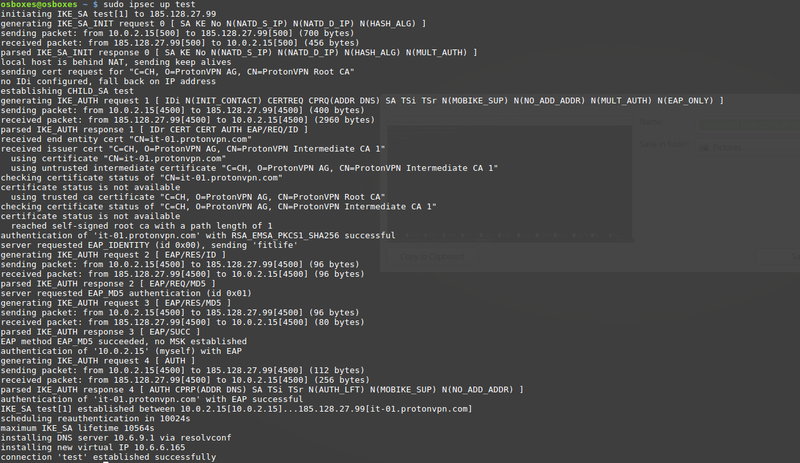 Add the credentials to the correct directory. Where instead of tester, enter your OpenVPN/IKEv2 username and instead of test123 enter your OpenVPN/IKEv2 password. Then, once again, press Ctrl+X, press Y to save and hit Enter. The setup is complete. You can try connecting to your created IKEv2 connection. 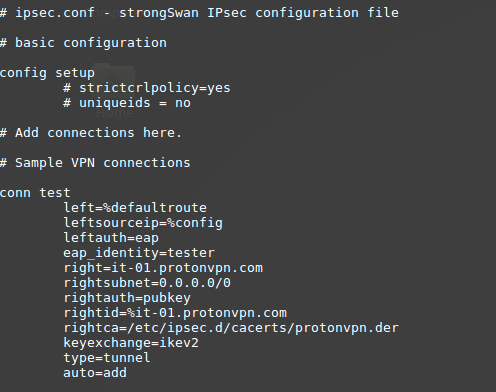 Instead of test, use the name of the connection that you’ve entered in the /etc/ipsec.conf file. Did it! Works for me, following the tutorial. When you change the config or the secrets file you have to restart ipsec. Tried on a Raspberry Pi using the x86 Stretch – Works without issue. Verbose. No listing of servers. Still too clunky to be user friendly. Hello, This connection method could provide better connection speeds or could connect you if the openvpn ports are blocked on your network. I am getting EAP_authentication error.